There are several types of dog collars and each type serves a specific purpose. There are Identification Buckle Collars - Flat Collars - Training Collars - and Break-Away Safety Collars. I advise against attaching a leash to an identification buckle collar, or quick-release collars on an untrained dog, or a dog that pulls or lunges. Use a properly fitted flat collar or martingale collar without buckles or chains instead. Once you have have the proper collar, teach your dog to walk on a loose leash without pulling. 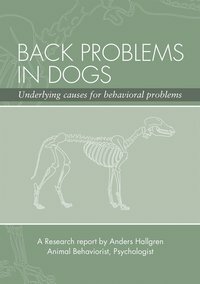 Dogs can and do suffer from cervical and back problems but I believe they are most likely caused by old school type (jerk) correction training. It’s my opinion that the causes of trachea issues that are not genetic are untrained dogs with heavy pulling, harsh corrections, especially with thin, metal, or any type of choke collars. To avoid inflicting damage do not use choke chains and other thin collars and do not place any collar high, right behind the ears. “An old trick for “controlling” and inflicting additional pain to a dog is to place the collar high, right behind the ears. More nerves and less protected muscles are found here than farther down the neck.” The 9th, 10th, and 11th cranial nerve exits at the base of the skull. Skilled and knowledgeable trainers have learned that dogs can be trained quickly without using choke chains, prong collars, or electric collars. Collars are to control, not to choke dog! "Correction" collars are not necessary to train a dog. If you are starting with a puppy there should be no reason to switch to a “training collar” later. If you are advised to use a “training collar” other than a martingale move on and look for a more knowledgeable and skilled trainer. Martingale collars are my favorite walking and training collars. Martingale collars are great collars for securely controlling your dog. I only use and recommend all fabric martingale collars that do not have chains or buckles. My favorites are the hemp and soft nylon. Martingale collars are used to give “direction”, not “corrections”. When fitted properly they prevent the dog from backing out of the collar. For most dogs a proper fit is when the leash is tightened and the two metal rings touch and the collar is fitted just tight enough that the dog cannot back out of it. (Not choking them) Once the collar is fitted correctly it should slip over the head easily without the need to loosen to get on and off. Martingales collars should not be left on unsupervised dogs. 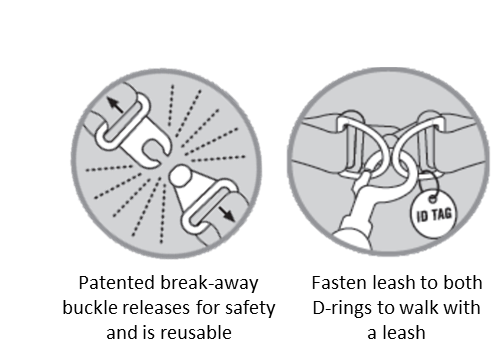 Instead use a Break-Away or Quick Release buckle collar. Earth Dog collars are a long-time favorite. They are made with hemp so they do not hold odor like other collars. Hemp is also a soft but strong fabric and comfortable for dogs. Caninus collars are my favorite training collar for medium, large, and giant dogs. They are very soft and comfortable. I use the 1 1/2" width for medium and large dogs, and the 2" width for some large and giant dogs. Caninus Collars are soft and very comfortable for dogs. Some people recommend other types of “training” collars or “tools” like; choke, check, pinch, prong, nylon/plastic pinch/prong, remote collars, e-collars, shock collars. Some are promoted to save fur, others touted as “Pro”, “Perfect”, “dominant”, and even “Safe” and “Calm”. These devices are often touted as mimicking a mother placing her mouth over the neck or muzzle of a puppy; thereby it being a natural correction the dog will understand when the leash is pulled or jerked. In reality none of these “tools” are needed to train a dog, even a challenging dog to an advanced level. If anyone advises you to use to use these “tools”, seek out a more knowledgeable and skilled trainer. Not every “highly recommended” trainer will be the right person to help. You may find the next one is great, or you may need to seek out more. Just keep searching until you find a knowledgeable and skilled trainer who is fair, not heavy-handed, nor has a feeding disorder. If you want to find a good training class, go and watch a training class, and when the people start to activity work with their dogs close your eyes and listen. If it does not sound like the people are having fun, it is almost a guarantee the dogs are not having fun. If the training looks like a class on inflicting punishment, or looks like most participants have a feeding disorder keep looking for a class that is fun, educational, and effective. They do exist but they are not as common as we would like. If a dog will be unattended consideration should be given to using a “Break-Away” collar that has a safety buckle that releases when pressure is applied. These are designed to prevent dogs from getting stuck on something or strangling if they get their collar caught on something above their head. We make the highest quality tags you can find. What makes a tag "high quality"? Quality material and good workmanship. You want your pet's id tag to hold up over time and to be readable by the finder of your pet, nothing else will matter if your pet is lost. Pet ID Tags are our only product. If you want the highest quality pet id tag money can buy, a tag that will get your lost pet returned to you safely, you cannot go to a better web site. Quick Release Buckle Collars are recommended as an Identification collar and not for training. We recommend quick release buckle collars only be used for your dog's ID tag and license and not for attaching a leash. For training training select a secure collar without buckles that can break. 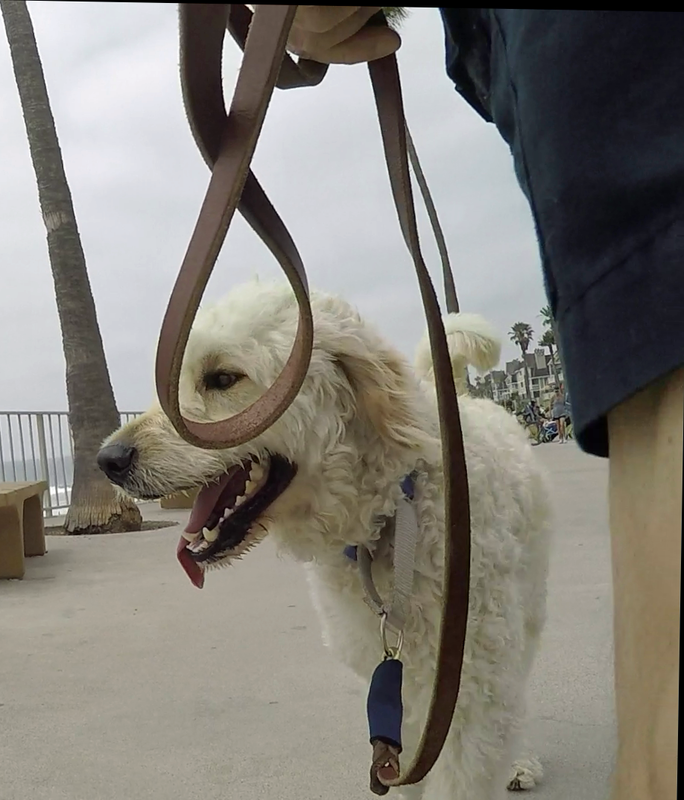 With a trained dog I will attach a leash to a quick release buckle collar to be in compliance with leash laws, but they are not recommend for dogs in training, dogs that pull, or need to be restrained. As a general rule a proper fit is when you are able to place two-fingers under the collar as the collar rests at the base of your dog's neck without it being tight. A flat or buckle collar secures like a belt buckle. Fitted properly they are comfortable Identification collars that you can attach your dog's ID tag and license. Choose a soft comfortable or padded collar for your dog. If fitted properly a flat or buckle collar can be used for walking or training if the dog is not able to escape the collar. Flat or buckle collars are made from a number of materials. Leather, nylon, cotton, plastic coated, biothane (no stick and easy to clean). As a general rule a proper fit is when you are able to place two-fingers under the collar as the collar rests at the base of your dog's neck without it being tight. If the dog will be unattended consideration should be given to using a Break-Away collar that has a safety buckle that releases. Should I Use A Head Halter? Should I Use A Harness?